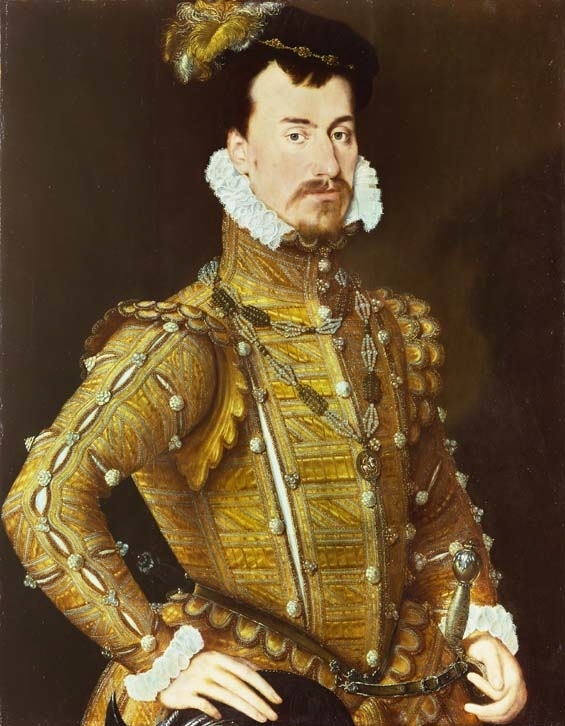 Robert Dudley, c.1560. Arundel saw him as his rival for the queen’s hand. great suspicions are entertained of the earl of Arundel with whom Lord Robert has had such words that the Earl went home and he and others are drawing up copies of the testimony given in the inquiry respecting the death of Lord Robert’s wife. Robert is now doing his best to repair matters as it appears that more is being discovered in that affair than he wished. The greater part of the nobility of that island take ill the marriage which the said queen designs to enter with the Lord Robert Dudley. His father was beheaded as a rebel and usurper of the crown, and they fear that if he becomes king, he will want to avenge the death of his father, and extirpate the nobility of that kingdom. Ironically, while both Arundel and Robert Dudley (now the Earl of Leicester) were unsuccessful in their respective bids for Elizabeth’s hand, both were suggested as marriage candidates for Mary Stuart by the English government; in 1565, anything would do to avert Lord Darnley becoming King of Scots. 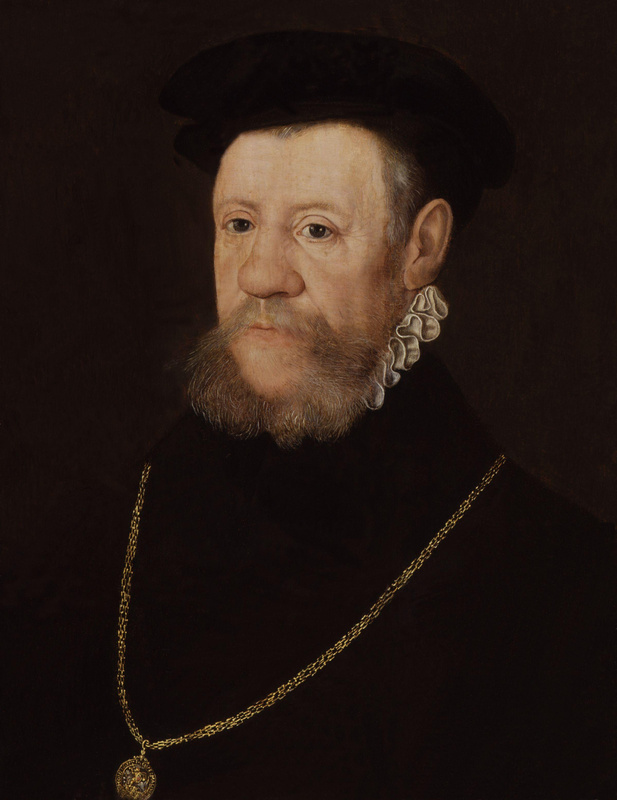 Neither “suitor” was keen on the position, however, and both hoped that Darnley would succeed. The Earl of Arundel then left for a journey up the Rhine and to Italy, where he hoped to be cured from his gout. From the peninsula Arundel brought back manuscript books of music containing settings of popular dances, like the pavana, passamezzo, and saltarello. These melodies were probably not entirely new to an English audience, as they had been in circulation in Europe since the 1520s; still, it is tempting to believe that Elizabeth’s court might have danced to some of the pieces in Arundel’s collection (now in the British Library). Returned from Italy in 1567, Arundel soon found himself on an investigation panel of the privy council, alongside three other nobles and William Cecil, Elizabeth’s Principal Secretary. John Appleyard, Amy Dudley’s half-brother, had been approached by some mysterious figures who offered him £1,000 in cash for evidence against Leicester concerning his wife’s death. Appleyard was under the impression that the agents acted on behalf of the Duke of Norfolk and the Earl of Sussex (who were still hoping that Elizabeth would marry the Archduke Charles). While insisting on Leicester’s innocence in his wife’s “murder”, Appleyard suddenly claimed that he could reveal the true culprit. The council questioned him and many of Leicester’s servants, but Appleyard changed his opinion again after seeing the coroner’s report, and nothing new about the case emerged. In the end, Arundel only had the satisfaction to witness Appleyard’s formal apology to Norfolk and Sussex, the ‟noble gentlemen against whom he has trespassed”. Arundel’s influence waned in later years as he was caught up in plots against Elizabeth I. Leicester was happy to help. As the duke’s father-in-law Arundel also fell under suspicion, almost by default. He was to spent over a year in the Tower, but there could be no reprieve for the Duke of Norfolk. Parliament clamoured for his head and Elizabeth finally gave way in June 1572. The next year, the Earl of Arundel returned once more to the privy council. He died in 1580. Arundel’s last recorded activity was to advise the queen against a match with the French Duke of Anjou, a stance that would have pleased the Earl of Leicester. When Elizabeth had been confronted with fears that Robert Dudley might seek revenge for his father’s death, she replied that Lord Robert ‟was of a very good disposition and nature, not given by any means to seek revenge of former matters past“. And she was right. Robert Dudley had no time for old grudges, indeed he wrote: “I have never been willing to make quarrels in this court nor to breed any. Mine own honour and poor credit alway saved, I neither have nor will be a peace breaker but a peace maker”.16 His relations with the Earl of Arundel are proof that he meant what he said. 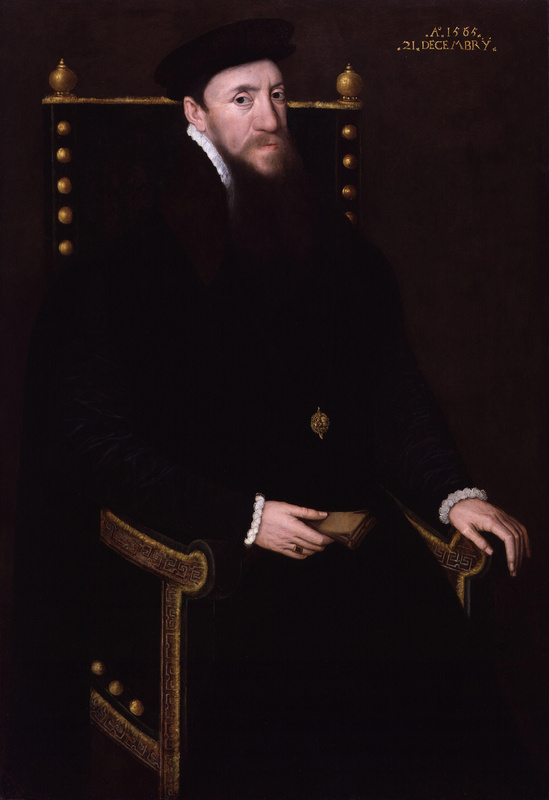 Lock, Julian (2004): “Fitzalan, Henry, twelfth earl of Arundel (1512–1580)”. Oxford Dictionary of National Biography. Oxford University Press. Whitelock, Anna (2013): Elizabeth’s Bedfellows: An Intimate History of the Queen’s Court. Bloomsbury. This entry was posted in Amy Robsart, Elizabeth I, friends & foes, Robert Dudley and tagged Archduke Charles, Duke of Norfolk, Earl of Arundel, Mary Queen of Scots, music, Nicholas Throckmorton. Bookmark the permalink.